It’s important to prepare your children for changes in a way that is appropriate to their stage of development. Explain to your child that there is going to be a change in his/her routine. This will help your child to understand and accept the changes. Always convey a positive attitude about the change which will be taking place. Try to avoid other major changes in your child’s life, if possible. For example, don’t begin toilet training or experimenting with new foods at this time. Emphasizing familiar routines and activities will help your child feel secure. Visit the centre or home child care program with your child ahead of time and more than once, if possible, so that your child can meet the caregiver(s) and other children, and become familiar with the program prior to attending. Your involvement in your child’s care can help strengthen and maintain the quality of care. Be sure to stay in close contact and communicate openly with the caregiver. To help maintain an open working relationship, clarify your expectations, exchange important information, and openly discuss any concerns you may have. Try to be open and direct about small problems you may have with your child care arrangement. Continue to monitor and observe the program as much as possible until you and your child feel comfortable with your decision. 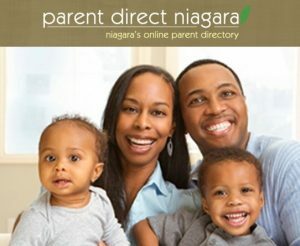 Visit the Ontario Ministry of Education’s How to Prepare Your Child for Child Care page for more information.